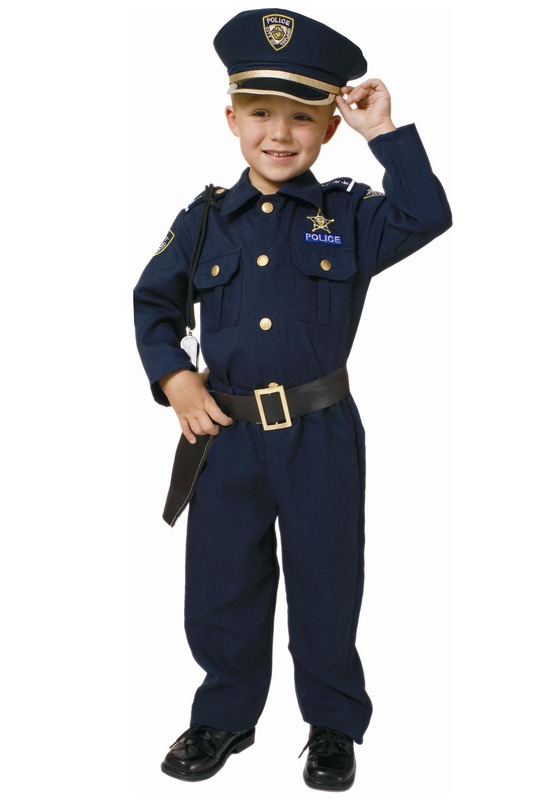 IF THEY ACTUALLY RECRUITED BABY COPS, HE WOULD MAKE CHIEF OF POLICE!! I am so amazed at how great this actually fit my 2 year old. The only thing we added was a toy cowboy gun from the dollar store which fit great in the holster and a pair of dress shoes. The hat is adjustable, which surprised us. He couldn't have been more adorable. Thank you Halloweencostumes.com for getting our costumes to us soooo fast. Halloween went perfect thanks to this Baby Deputy outfit!! Our best idea yet, was Baby was the Cop and Mom & Dad were the convicts....his prisoners (which isn't far from the truth anyway. lol) Everyone LOVED IT!! It was nice but the belt its too big for a toddler size it should be a bit smaller but other than that I like the way it loos my baby looked perfect .